Controversy has erupted in Germany around Holocaust victim Anne Frank this week after the national rail operator announced plans to name a high-speed train after her and anti-Semitic football stickers featuring the Jewish diarist were circulated online. Deutsche Bahn (DB) faced criticism after it announced Frank as one of 25 famous names chosen to adorn a new generation of high-speed trains. Critics described the decision as “tasteless” and “insensitive” given the story of Frank’s life and death. 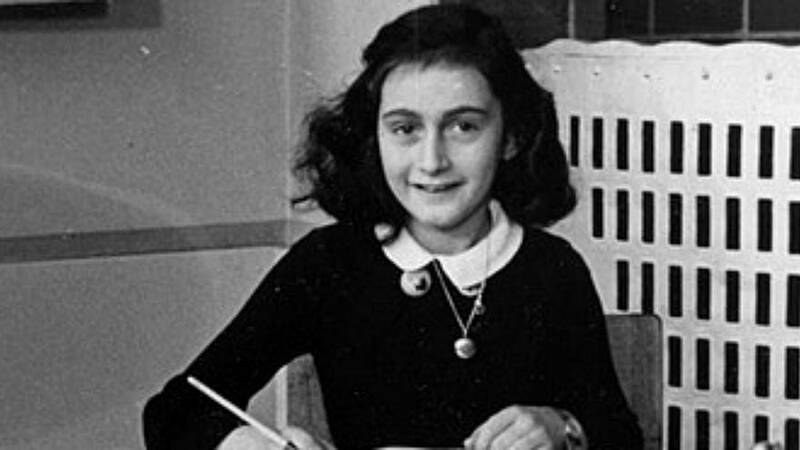 The teenage diarist was arrested along with her family in Amsterdam and deported by train to the infamous Auschwitz camp in 1944, where she died at just 15 years of age. Well that’s rather tasteless. Surely they could have found someone else to commemorate with a train, and something else for Anne Frank. However, the rail company insisted it did not intend to disrespect her memory. “On the contrary – aware of the historical responsibility we bear, we made a deliberate decision to help keep Anne Frank’s memory alive. We are very sorry if any feelings were hurt as a result of this decision,” it said. But the train was not the only controversy involving the diarist this week. Police in Germany are investigating football fans after anti-Semitic stickers were circulated featuring Frank wearing a jersey of football club Schalke 04. It is believed that fans of a rival team produced the image, which has been stuck on walls around Düsseldorf and shared on social media. Anti-Semitism is severely punished in Germany, where denying the Holocaust is a criminal offense.